Apple is getting serious about augmented reality, the cool opposite end of the mixed reality spectrum from virtual reality. It’s doing it, at least in the carefully controlled on-stage demo, with really really good software-based AR that will, according to Apple, make its AR Kit the largest AR platform in the world. Apple isn’t the first phone company to invest in AR. Last summer you all played Pokemon Go, which featured rudimentary AR, and last fall Google and Lenovo released the very first Project Tango phone, which included a giant camera module on the back of the phone that made hyper accurate AR possible by viewing the world in three dimensions (iPhones, and most other cameras, only sees the world in two dimensions). In fact, Google’s been quietly banging the AR drum for a while, first announcing Project Tango way back in 2014. But adoption has been slow. 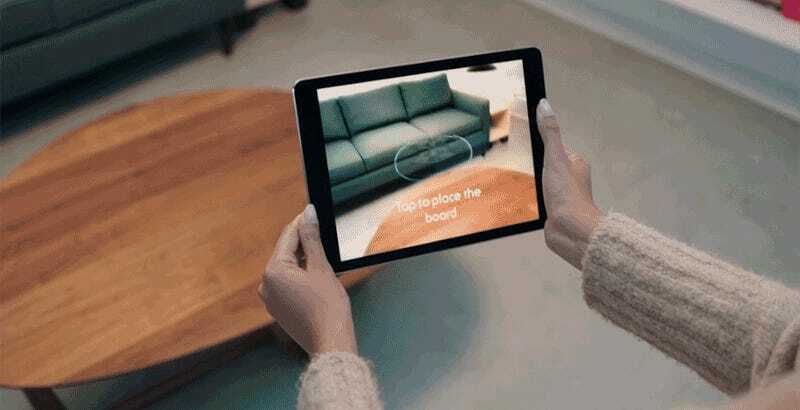 Consumers don’t quite understand AR (unless there’s a Pikachu involved), and Google all but botched the Tango launch, releasing it on a single (huge) phone available only online and from Lowes. While Tim Cook is notably a big fan of AR, most assumed that Apple wouldn’t start embracing the technology until it released a phone with a fancier camera array that could do more complex calculations. Notwithstanding simpler hardware, Apple is claiming that AR Kit, which is entirely software based, will give you a great AR experience on any iOS device. That’s a bold claim, and the AR demos Apple showed off on stage were certainly impressive enough, but it still remains to be seen exactly how accurate Apple’s AR will be. With Project Tango you can measure a window by pointing your phone at it, or know exactly how much space a couch can take up in a room. Apple seems to think it can do that with all the hardware built into last year’s iPhone 7. If that’s true, then get ready guys, the augmented reality revolution might be back on.